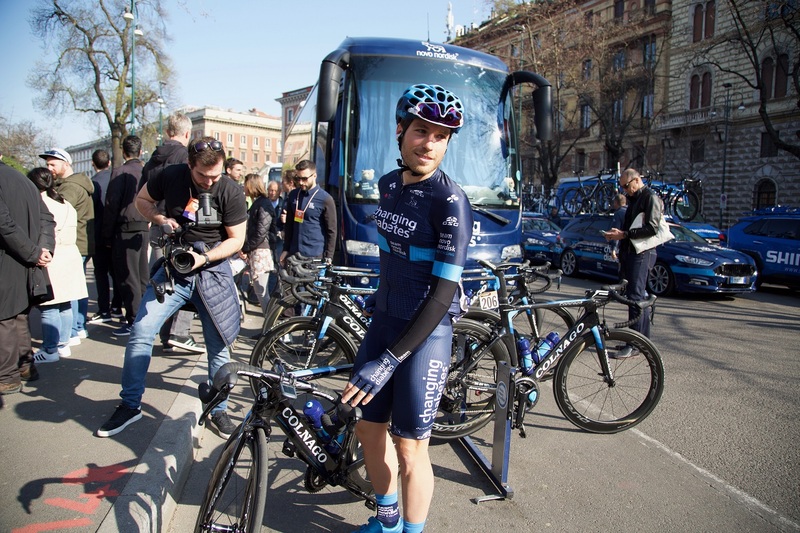 Our Team Novo Nordisk partners celebrated their fifth participation in Milano-Sanremo with a scintillating performance placing no less than four riders in the day’s breakaway. 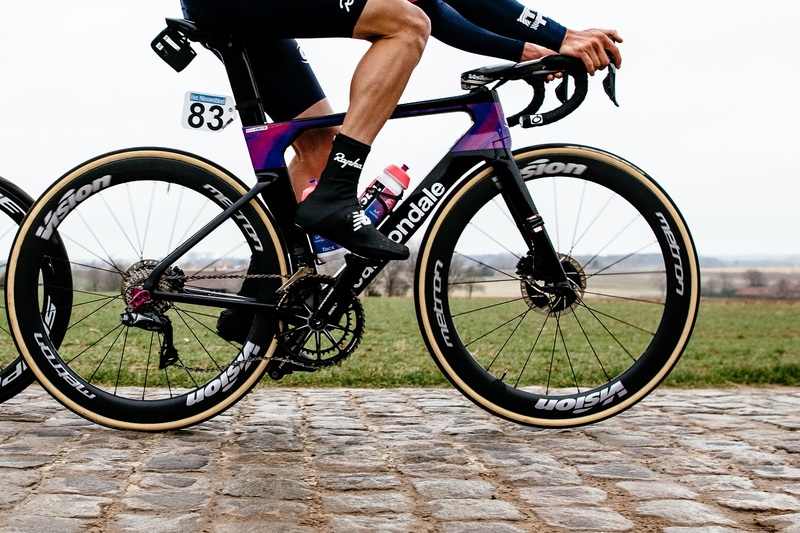 For the world’s first all-diabetes pro cycling team it was the best collective performance in their history, showcasing depth in strength and sending a strong, inspiring message to everyone living with diabetes worldwide. Italian Umberto Poli proudly showed off the Changing Diabetes jersey at the front of the race on home soil and was joined by teammates Andrea Peron, Charles Planet and Joonas Henttala in an outstanding display of collective team strength. 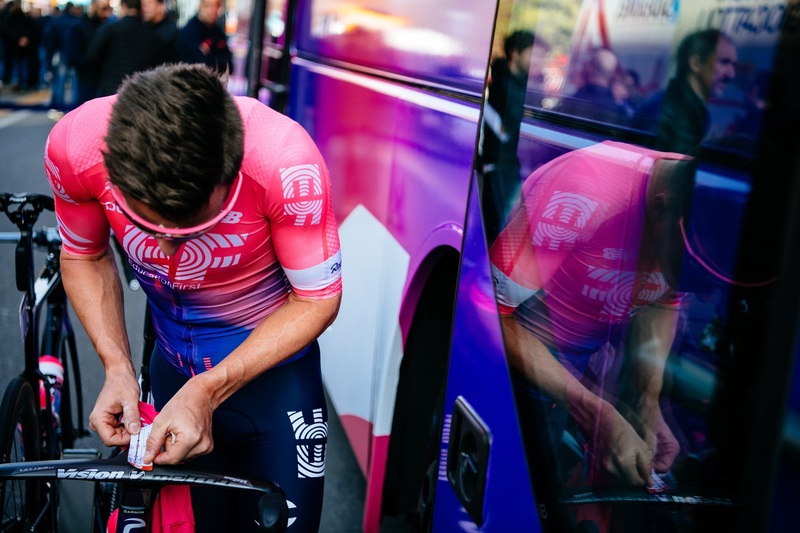 The 22-year-old Italian rider is in his third year in the professional ranks and when he isn’t traveling around the world racing, he enjoys spending time with family and friends and exploring his hometown by bike. "Cycling isn’t just a sport; it is a way that we can express who we really are!" is Umberto’s motto. 1 - When you start cycling and when were you diagnosed with Type 1 diabetes ? My life and my career changed on October 7th 2012 when, at the age of 16 years-old, I was diagnosed with type 1 diabetes. I had been feeling quite bad for over a week. The previous Sunday, in the G.S. Luc Bovolone race I was in the breakaway, like in so many other races but I had to stop. I kept having to go to the bathroom to pee and had trouble sleeping because I had to constantly go to the bathroom. I remember that on the way home I repeatedly asked my trainer Lino to stop because I had to pee. He told me it was not normal that I had to be sick. When I got home I didn’t feel well at all and I immediately told my mother to take me to the hospital. I then went straight to the hospital in my home town where they had to take a blood sample because the classic blood glucose machine gave an error message multiple times. As soon as they received the results of the blood analysis they urgently admitted me to the hospital with a code red. They had found I had over 700mg/dl of glycaemia. The machine only measured up to 500mg/dl so it wasn’t a surprise that gave an error reading. I was moves to the hospital in Legnago where I was told I had Type 1 Diabetes. The next day my parents and the doctors explained everything to me and I understood the gravity of the situation. However, to tell you the truth, I was so young that I didn’t I've it too much importance. I was only interested in getting back to the saddle as soon as possible because the new season would be soon underway with my new team and I couldn’t wait to leave the hospital. 2 - Why is it so special for an Italian cyclist to race in Milano-Sanremo? Milano-Sanremo is a very important race for us Italians because we race at home. Therefore it’s one more reason to be super competitive. Not to say we are not competitive in other races but when compete on home soil it’s always nice to be a protagonist. It’s a spring classic and all the strongest cyclists in the world who dream to win this race are there. When we are talking about a 300km race anything can happen. 3 - For a cyclist living with diabetes what changes compared to other pro riders who don't have the condition? For a cyclist who lives with diabetes, pretty much nothing changes on a physical level compared to other cyclists. It’s only necessary to eat and hydrate more often to keep the blood sugars under control and avoid any issues with highs and lows. 4 - What are your tips for a child living with diabetes? It is recommended for him/her to play sports? Sports is surely the best medicine we can recommend because sports is an effective way to keep your blood sugars in check. Then surely the diet has a great impact. It’s preferable to stick to foods that have a low glycemic index in order to better manage your insulin doses. If you learn from and early age how to manage these variables you can have a more normal live and avoid having big problems in the future.